Calvin and Fanny Phibbs with (l-r) Evelyn, Florence, and Catherine in Idaho in 1912. I had heard a rumor a couple of years ago that Calvin Phibbs had committed suicide but could not confirm the story. Now that I am back in Idaho, I stopped by the Rupert Library to see if they had some old newspapers. Sure enough, I found the following obituary which reads more like the local gossip column. I will include some of the family history after the obituary. “Well Known Rupert Attorney Meets Instant Death By Own Hand at Home Thursday. “Four months of sleeplessness, a body racked with pain and mind grown despondent through belief of the utter hopelessness of physical recovery, led to the tragic, but carefully planned suicide of Judge C. D. Phibbs, well known Rupert attorney who ended his life at his home Thursday. Seated before a mirror in his bedroom at three o’clock in the afternoon, when no one was in the house but his wife and himself, the distraught man placed the muzzle of a 22-caliber hammerless revolver to his right temple, and with a firm unswerving hand sent a bullet through his brain, death being instantaneous. The leaden missile passed through the head and lodged in the wall, near the ceiling. “Startled by the sharp explosion of the gun, Mrs. Phibbs rushed in from an adjoining room to find her husband’s body crumpled on the floor with his life extinct. “That the rash act was premeditated and carried out as planned is shown by excerpts from a letter written the previous Saturday, addressed to his wife and left where she could not fail to find it. “Following the introductory explanation foreshadowing the tragedy that was to take place, the letter continued with detailed instructions of what to do in regard to business that would arise, told where his life insurance policies were, how to plan the funeral, left words of encouragement to the children to continue their education and even advised about planting a garden. “The letter was found by Mrs. Phibbs soon after the tragic shooting occurred. It was dated March 20. Although she knew he suffered much from stomach trouble for many weeks and was discouraged over his health, no hint of self-destruction was ever suggested by her husband, she said, and in the past week it seemed to be somewhat improved, and had been to his office only a few days before the appalling act. He had suffered intensely from stomach trouble and it is thought he believed himself a victim of cancer. “When a youth of 13 years, while in the mountains of Virginia, at Fancy Gap, Carroll county where he was reared, in 1899 Calvin D. Phibbs, whose father worked in the mines there, hopped on a coal car and received injury to his left leg that later caused infection, making amputation necessary and left him crippled for life. “In 1906 when twenty years of age he married Fanny Elizabeth Ross in Welch, West Virginia, and on March 21, 1913, they came to Idaho and to Rupert, making there [sic] home here since then. “Although he had little opportunity for attending school, he received his education by private study. Securing books and texts of the International Correspondence school he studied law and was admitted to the Idaho state bar in 1919. “For ten years he held the position of probate judge of Minidoka county, being elected on the Republican ticket and served in that capacity until four years ago. He served also as justice of the peace for two years and in 1918 was city clerk of Rupert. “His friends and business associates, of whom he had many, were shocked and grieved at his tragic act. He had a kindly disposition and a cheerfulness of manner that in no way can be reconciled with his fatal deed. At the time of his death he was engaged in the practice of law but since last November had been unable to be in his office much of the time. “Besides his grief-stricken wife he is survived by eleven children, five boys and six girls, their father being the first of the family to pass away. The children in order of their ages are Mrs. Florence Biles, 23, of Gridley, California; Mrs. Evelyn Collier, Rupert; Mrs. Catherine Beachell, of Filer, Idaho; Virginia, James, Viola, William, Orville, Arthur, Albert and Phyllis, the youngest, age three, all of whom live at home. Three brothers, Frank Phibbs of Twin Falls, Robert of Oakland, California, and John of Salt Lake City, and twin sisters, Mrs. Ardena Christensen, San Francisco and Mrs. Mary Hiatt of Paul, also survive. “Largely attended funeral service were conducted Monday at one o’clock in the Second ward L.D.S. church with Albert Harrison, first counselor to Bishop O. J. Bateman in charge. “Speakers included David J Borup, former bishop of the Second ward, who came from Boise where he now resides to be present at the funeral. Judge Hugh A. Baker, an attorney friend, and David Hyde and A. H. Jensen, churchmen and friends of the deceased. “Prayers were offered by L.D. Hyde and R.C. May. Interment was in Rupert cemetery with Goodman Mortuary in charge. Here is a biography of Judge Phibbs from an old Idaho directory of prominent people. “Judge Calvin Dickerson Phibbs. since 1912 a resident of Rupert, where in 1918 he was elected judge of the probate court of Minidoka county, was born at Hillsville, Virginia, June 12, 1886, a son of James and Elizabeth (Bolt) Phibbs. The parents are also natives of the Old Dominion, where they were reared and educated. Subsequent to his marriage the father there followed farming and stock raising and during his early life also engaged in the profession of teaching. In 1910 he removed westward to Rupert, Idaho, and purchased a farm northeast of the town, becoming owner of eighty acres. At times he has owned various farms, but his holdings at the present time embrace just eighty acres. He and his wife have become members of the Church of Jesus Christ of Latter-day Saints and in his political views Mr. Phibbs is a republican. “Calvin D. Phibbs spent his boyhood in his native state and pursued his education in Fairview Academy. He was reared to the occupation of farming, early becoming familiar with the best methods of tilling the soil and caring for the crops. Later he took up electrical engineering and worked along that line until he came to Rupert, Idaho, in 1912. Here he entered the real estate field and after a time he was called upon for public service, being made city clerk of Rupert, which position he filled for a brief period. In 1918 he was elected to the office of probate judge of Minidoka county, which position he is now acceptably filling, being most careful, prompt, systematic and accurate in the discharge of his official duties. On the 15th of December, 1919, he was admitted as an attorney at law in the supreme court of the state of Idaho. 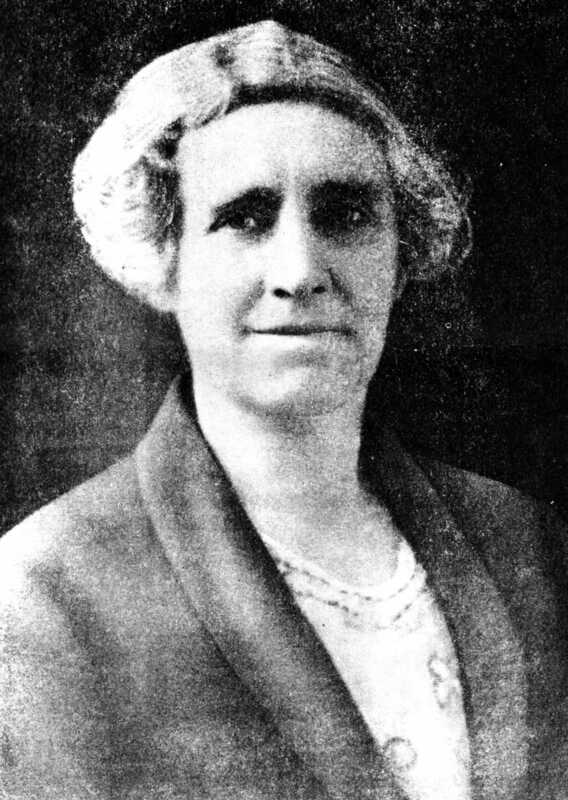 “In 1907 Judge Phibbs was united in marriage to Miss Elizabeth Ross, a native of Pulaski, Virginia, and a daughter of J. T. and Catherine (Graham) Ross, the former a farmer and stockman. 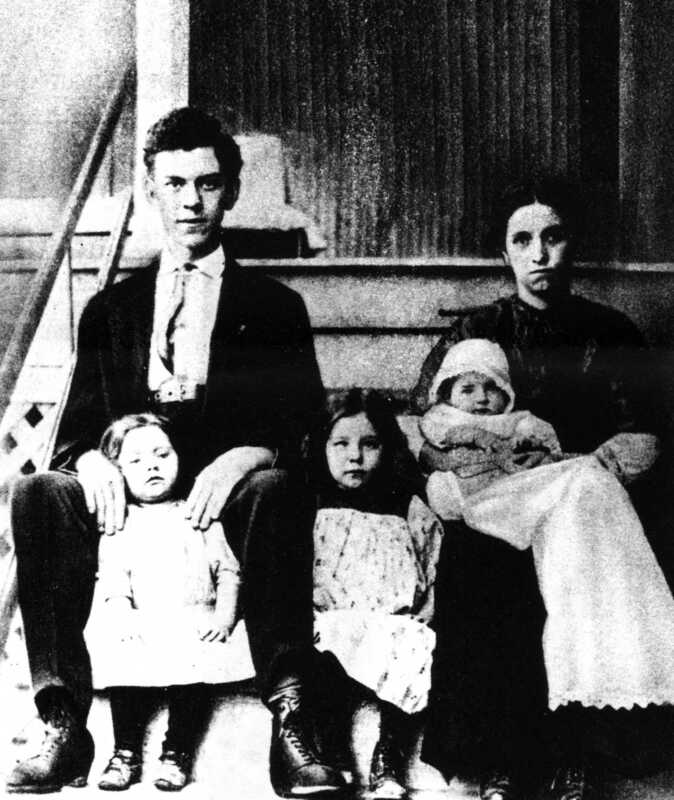 Judge and Mrs. Phibbs have become parents of six children: Florence, Evelyn, Catherine, Virginia, James and Viola. The religious belief of the family is that of the Church of Jesus Christ of Latter-day Saints and in politics Judge Phibbs is a stalwart republican, giving unfaltering allegiance to the party and its principles. He stands for advancement and improvement in all things that have to do with citizenship and is among that class who are putting forth every effort to spread the principles of true democracy and make one hundred per cent Americanism the rule of this land. I do not usually place that much quoted material in my histories, but there is so much extra information I probably would not otherwise include, I thought I better just leave them how they were printed. 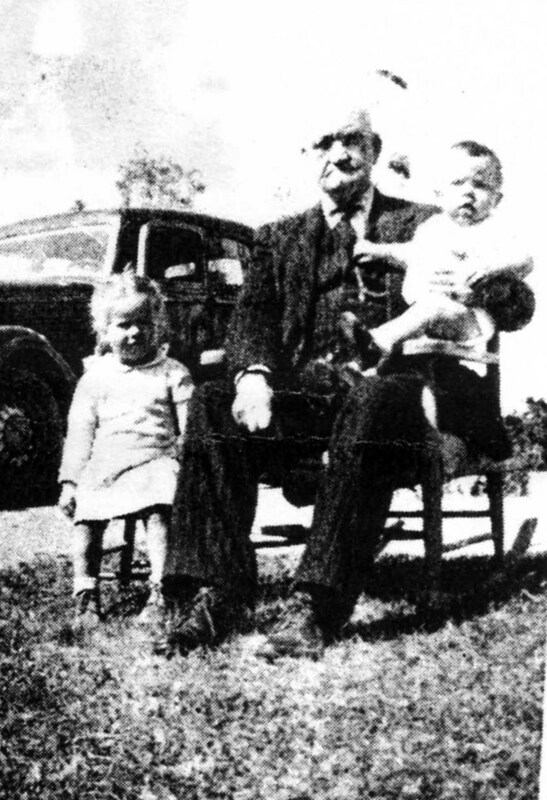 Calvin Dickerson Phibbs was born 12 June 1886 in Hillsville, Carroll, Virginia. He died 30 March 1933 in Rupert, Minidoka, Idaho. He was buried 4 days later on 3 April 1933 in the Rupert Cemetery. Now that I have given so much on Calvin, I probably should fill out the life of Fanny a little more, my Great Great Aunt. Fanny Elizabeth Ross was born 18 November 1893 in Reed Island, Pulaski, Virginia to James Thomas and Damey Catherine Graham Ross. Read more about here parents and family here. 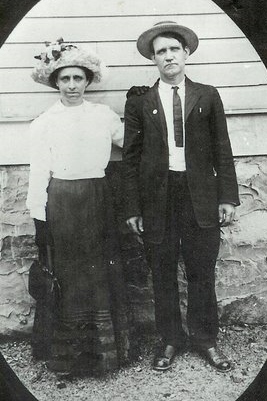 She married Calvin Phibbs 22 December 1906 in Welch, McDowell, West Virginia. As mentioned 11 children were born to the marriage. I believe she moved fairly quickly to California after Calvin’s death. While in Rupert, the Phibbs family lived at 96 B Street (unless the streets have been renumbered, this home does not exist any more. Grandpa, Milo Ross, visited her in Salt Lake City before World War II. I do not know if she was living there or just visiting, he does not remember either. She died 23 January 1943 in Daly City, San Francisco, California. She is buried at Cypress Law in Colma, San Francisco, California in an unmarked grave. Calvin and Fanny’s children are as follows, without spouses. Florence Geneva Phibbs born 21 June 1907 in Gary, McDowell, West Virginia and died 9 February 1987 in Gridley, Butte, California. Evelyn Adaway Phibbs born 8 October 1909 in Eckman, McDowell, West Virginia and died 7 January 1961 in San Francisco, San Francisco, California. Catherine Elizabeth Phibbs born 1 January 1912 in Thorpe, McDowell, West Virginia and died 7 September 1989 in Fall River Mills, Shasta, California. Virginia Ardena Phibbs born 3 March 1914 in Rupert and died 25 September 1969 in San Francisco County, California. James Calvin Phibbs born 22 April 1916 in Rupert and died 10 July 1977 in San Francisco. Viola Belle Phibbs born 21 July 1918 in Rupert and died 11 June 2008. William Robert Phibbs born 3 October 1920 in Rupert and died 16 September 2010 in Redding, Shasta, California. Orville Leonard Phibbs born 20 October 1922 in Rupert and died 25 December 1985 in Santa Rosa, Sonoma, California. Arthur Lee Phibbs born 12 October 1925 in Rupert and died 22 June 1983 in San Francisco. Richard Albert Phibbs born 25 December 1927 in Rupert and died 27 January 1993 in Clearlake, Lake, California. Phyllis Elaine Phibbs born 24 February 1930 in Rupert and died 6 July 1972 in Los Angeles, Los Angeles, California. Of course I am always looking for more information on the family since we do not have contact with any of the descendants.